Many enterprises have expertise in server virtualization, but few have an ability to design large-scale software-based networking, security, storage, and application services across multiple clouds. In this day and age, businesses of all sizes require technology that automatically performs many of the tasks that humans had to do in the past. They need an operator-assisted approach to help IT personnel design complex application environments without making mistakes. So what does it take to make this a possibility? 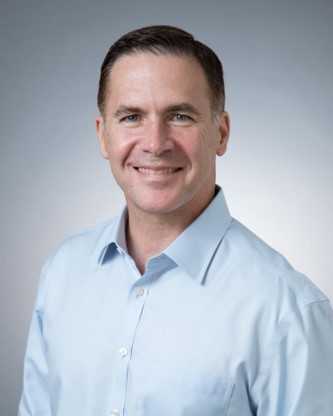 In this IT Briefcase exclusive interview, Tom Joyce, CEO of Pensa, explains how companies, like Pensa, can produce complete, validated virtual data centers based on VMware, OpenStack, and other technologies in a fraction of the time it takes using a typical manual process. 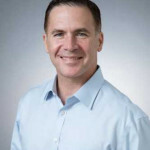 He will explain the most important goals that DevOps can help achieve and how service providers can tackle some of the key challenges facing DevOps today. Q: Tell me a little bit about Pensa. What makes Maestro stand out from the competition? A: Pensa is a SaaS software company that specializes in intelligent automation for creating and managing virtual data centers. The software we have today can help people create virtual data centers in minutes so they can test new software, new security policies, new applications or many other things where a test environment on demand might be needed. Maestro is the core technology that allows us to do this. It is a smart system that understands how different software elements work, and how they should be assembled, so people don’t have to do everything themselves. Q: Can you give an example of how an IT admin would use Pensa? A: Let’s say an IT admin has an urgent requirement to upgrade a number of software products because there is a new security exposure. Upgrading a bunch of software at once is a risky proposition and requires testing. If our IT admin does not have a lab environment ready and configured correctly to do this test, he or she might have to set up hardware, get other people involved, determine what underlying software is required, obtain it, set it up, validate it etc. This might take all day, or all week, or just might not get done. If the IT admin had a Pensa Lab, our intelligent automation would set up the lab environment in about 40 minutes in a cloud. Q: What is the most important goal DevOps can help achieve? A: The most important goal of DevOps is to go faster. This applies in a number of ways. First, it can drive faster deployment of applications. Second, faster resolution of problems through better communication and because shorter development cycles allow you to find mistakes faster. Third, faster innovation by completing more development and deployment cycles and getting more real feedback into the system. Q: Why has DevOps gained prominence over the last few years? A: The success of Agile software development and lean innovation approaches took hold in startups staring around ten years ago. People have seen that these new ways of doing things have created enormously valuable new companies like Facebook, and whole new industries, and so many companies wanted to see if they could learn from this, both so they could go faster, and also to avoid falling behind. Q: How might service providers go about tackling some of the key challenges facing DevOps, as highlighted in your recent survey? A: The survey shows us that customers are no longer just talking about it. They’re doing it. So it is important for service providers to communicate in the DevOps terminology, and adapt their offerings to faster development approaches. They also need to learn to go faster themselves, and should consider new tools like Pensa Lab. Q: As companies migrate to the cloud, how does Pensa support the task of re-aligning the workforce to follow a DevOps model? A: Pensa makes it possible to accelerate the test and deploy cycle by as much as 10x, buy making it easier to rapid-cycle the testing process. Pensa also enables service providers and end customers to design and spin up new virtual data center configs using our intelligent automation technology, even if they are not experts in all the technologies involved. Q: What advice would you have for businesses that are facing barriers to DevOps adoption? A: Make sure the IT department has the tools to respond to what will be much greater demand from the app developers for IT resources on demand. Tom Joyce joined Pensa as CEO in July, 2017. He has 30 years of experience in management, strategy, marketing, sales, product development and M&A in both large companies and startups. Prior to joining Pensa, Joyce had senior management roles at Dell Software, Hewlett-Packard, Akorri and EMC. He holds an MBA from Bentley University and a BA from Middlebury College. Outside of work, Joyce enjoys riding his Triumph motorcycle in the Santa Cruz mountains.